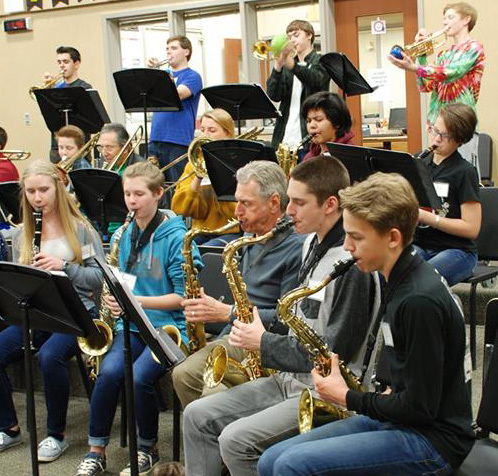 The Wenatchee Jazz Workshop has been bringing great jazz to our schools and our valley since 2001. It pairs professional jazz musicians/instructors with jazz band students from six local middle and high schools for a week. Each guest musician works with students in his or her respective section: saxophone, trumpet, trombone, piano, bass and percussion – sitting among the students and conveying the language and techniques of jazz music. At the end of the week are two public concerts, called “Jazznights”: one by the pros and one featuring the students from the six schools. This year’s workshop will be held February 4-8, 2019 with classes conducted at Wenatchee High School. 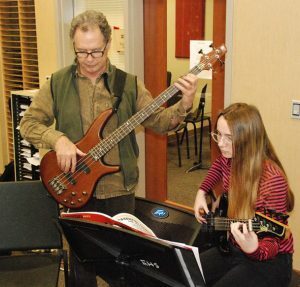 Band students from the other schools are bused to WHS each day for 50-minute sessions, breaking into groups by instrument and learning from the respective pros. Parents can download an informational page here. 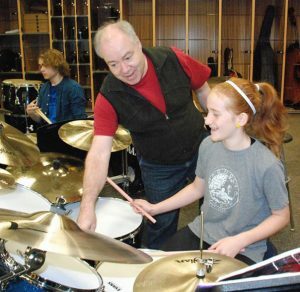 The Wenatchee Jazz Workshop is a nonprofit organization that depends on financial support from Wenatchee area schools, businesses and supporters of the arts. Your donation is welcome! Click here for the donation form. Numerica Performing Arts Center, 7:30 p.m.